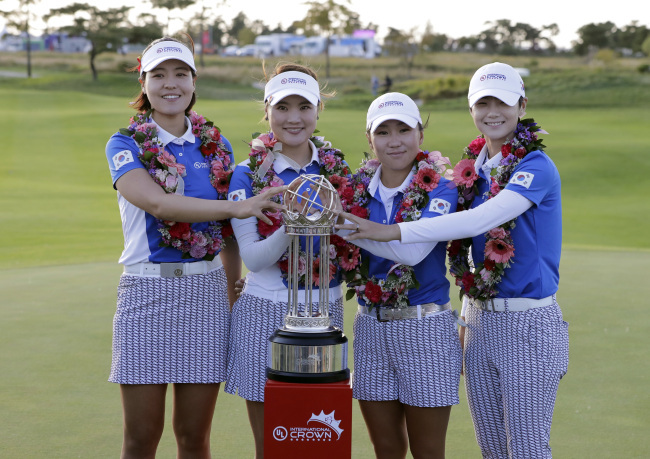 Host South Korea captured the LPGA's UL International Crown for the first time on Sunday, thanks to a strong finish down the stretch that ensured a comfortable victory. Much to the delight of tens of thousands of partisan fans at Jack Nicklaus Golf Club Korea in Incheon, 40 kilometers west of Seoul, South Korea clinched the title with two out of four singles matches still remaining. The country ended up winning two out of those four matches while losing one and tying the other. 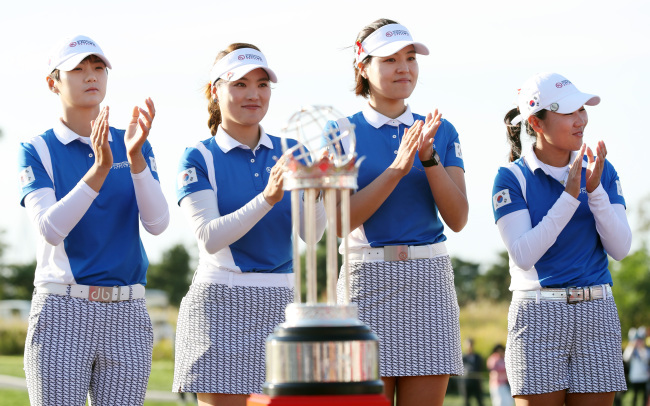 After three rounds of four-ball matches and Sunday's singles, South Korea collected 15 points, four better than both the defending champion United States and England. South Korea finished in third place at the inaugural event in 2014 and in second place two years ago.